Hi! My name is Amelia Knudson. 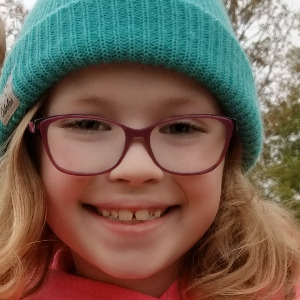 I'm 10 years old and I'm going to shave my head to raise money with my friends in Brave the Shave! Way to go Amelia! What a wonderful and generous thing to do. Amelia, what you are doing is a very amazing thing. You have an amazing heart. We are so PROUD of you Amelia!! You are soooo brave!!! You are a sweet girl with a big heart! I am very proud of you! Amazing! Way to go ! To a special girl for a great cause! So proud of you! !You will look BEAUTIFUL!! We are so proud of you Amelia! You go girl!! Amelia this is such a fun event. Enjoy it and you really rock. Awesome thing to do Amelia! Papa & I are so proud of you! You are such a brave young lady! So proud of you for doing this Amelia! You are so brave Amelia! What a great thing you are doing! Amelia, you are awesome!! I am so very proud of you!! 10 years old and your this brave? Enough to shave?! Yep, your definitely the bravest 10yr old I’ve heard of, so here’s $20! What an awesome thing you’re doing, Amelia!